It's been less than 24-hours since Justice Brett Kavanaugh took his rightful seat on the Supreme Court and two weeks since Democrats attempted to derail his nomination with a supercharged smear campaign. 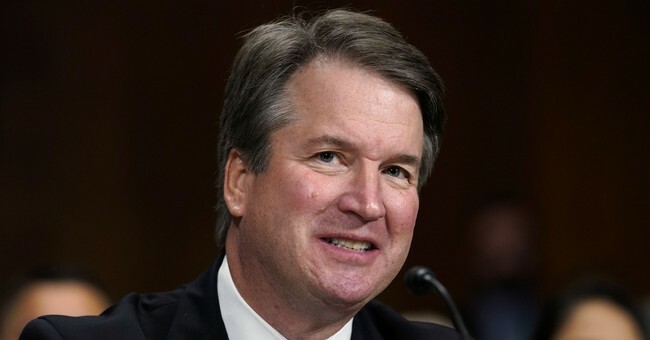 But according to a new survey from Rasmussen Reports, Republican voters are furious about the salacious, unfounded accusations lobbed at Kavanaugh and are more likely to vote in the upcoming midterm elections as a result. A new Rasmussen Reports national telephone and online survey finds that 54% of all Likely U.S. Voters say they are more likely to vote in the upcoming midterm elections because of the controversy surrounding President Trump’s U.S. Supreme Court nominee. Only nine percent (9%) say they are less likely to vote. Thirty-four percent (34%) say the controversy will have no impact on their vote. Further, the Kavanaugh issue has more energy for the GOP than the Democrat Party. Republicans are madder about the Kavanaugh controversy than Democrats are and more determined to vote in the upcoming elections because of it. Sixty-two percent (62%) of Republicans are more likely to vote because of the Kavanaugh controversy, compared to 54% of Democrats and 46% of voters not affiliated with either major political party. Sixty-two percent (62%) of all voters are angry about the U.S. Senate’s treatment of Kavanaugh, with 42% who are Very Angry. Fifty-six percent (56%) are angry about how the Senate treated Christine Blasey Ford, the woman who accused Kavanaugh of sexual assault, including 35% who are Very Angry. Other polling shows Republican women are also enraged by the treatment of Kavanaugh and plan to turnout in November.